Coloreel has taken the first step in building a global distributors network, starting with Europe. Leading distributors in key markets for the embroidery industry have signed on to become the foundation of the network. With a well-structured maintenance organization, the distributors will be in charge of sales, installation and service in respective markets. "Coloreel is the most exciting innovation to happen in the world of embroidery for the past 20 years! This technology will change the way many embroiderers work forever", says Tony Dorsey, CEO at AJS Embroidery, Coloreel distributor for the UK and Ireland market. "We think that the Coloreel Technology will be the next step in the future of the Embroidery Business. No more color restrictions will help to create designs without any barriers", says Torsten Preiss, CEO at Barudan Deutschland, Coloreel Distributor for Germany, Denmark, Austria and Switzerland (German-speaking part). Because of the huge market potential and the clear trend in personalization, Coloreel will launch their product in Europe first. Most markets have joined Coloreels distribution network so far and more will join. "It's one of those revolutionary game changers which are a full stop between past and future. We hardly understand how we were able to meet or keep in touch without smartphones only ten years ago or how we managed to travel everywhere without GPS. Very shortly we will think about how we've been able to embroider for so many years without Coloreel technology", says Francisco Fandos, CEO at Grupo FB Maquinaria S.A., Coloreel Distributor for Spain and Portugal. The next step is to extend the dialogue to potential distributors outside Europe. The goal is to expand the distribution network worldwide so that everyone can benefit from being able to use one thread with unlimited colors. 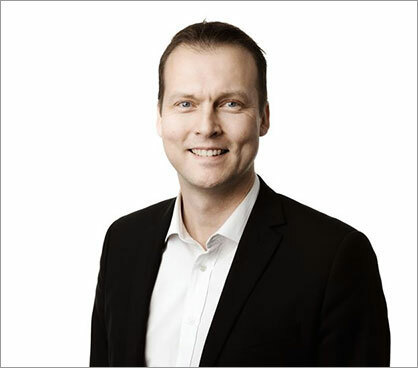 "With their many years of experience and expertise in the embroidery market; I feel confident that the distributors will be able to sell our revolutionary product, says Magnus Hellström", VP Sales & Marketing at Coloreel.